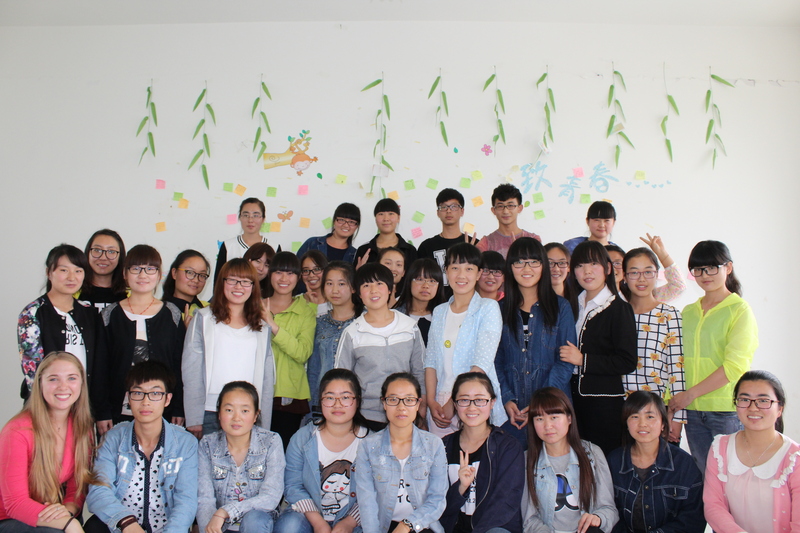 After a long two weeks of listening to final exam speeches, grading outlines, and submitting final paperwork, I can now say that I have officially completed one year as a teacher at Ningxia Teacher’s University! (Cheering, Clap-clap, Hooray, Boo-yah! Trumpets, tambourines, confetti, etc) So what have I learned about being a teacher so far? 1. There is no “off-button.” I work at school. I work at home. I work at 8am. I work at 7pm. There is no “off-button” as a teacher. My work is everywhere and at all times of the day. At first this was really annoying to me. I really wanted time away from work but it seemed to follow me everywhere. What I realized is that I needed to create boundaries. This spring I set specific days for lesson planning, grading, and time with students. This allowed me to allot my time and actually have “off” time at home or at night to do other things and not feel behind. 2. It can be boring. This semester I taught the same lesson three times in a row to three separate classes. You know when you drive the same road everyday and soon you can slip into “auto pilot?” I confess, that has happened to me in the classroom. I found that I can’t repeat an activity too often or I get bored, and when I am teaching that third and final class I have to find ways to change things to stay alert. And let’s be honest, if I am bored as the teacher, my students are probably bored, and that’s not good. 4. You gotta learn in order to teach. But really, I joke that I have learned more about English grammar this year than Mandarin. When you are teaching something that you are an expert in by default, it takes time to learn what you already know…only in technical terms. 5. Theatre-training comes in handy. Speaking clearly, commanding attention, evoking energy in the classroom were all things I didn’t have to worry about when I began teaching, thanks to my theatre training. I believe this was my greatest asset during my first semester. Even when I didn’t know what I was doing, I could teach with enough confidence to pretend I wasn’t insecure beyond compare. :) But even more so, teaching Oral class means a focus on speaking, interaction, and confidence…aka theatre training! My biggest joy in creating lesson plans is formulating role plays or interactive activities to increase my students’ abilities to speak with fluency and confidence. Thanks NWU theatre department! 6. I don’t want to teach forever. I recognize that the Lord has given me many gifts to teach efficiently and effectively. 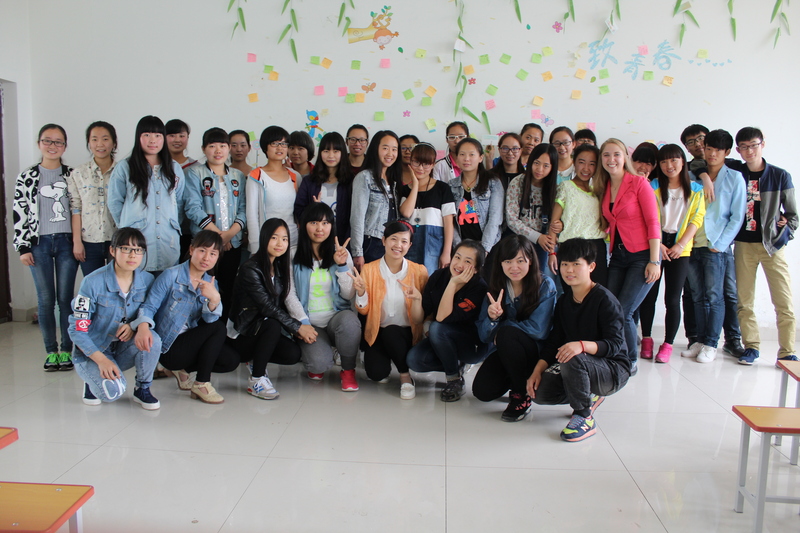 I was teaching informally before I came to China and I have no doubt that I will continue to teach in various ways throughout my life. But do I feel called to formal teaching beyond China? Probably not. Do I plan to go back to school to get a Master’s degree in Teaching? Nope! 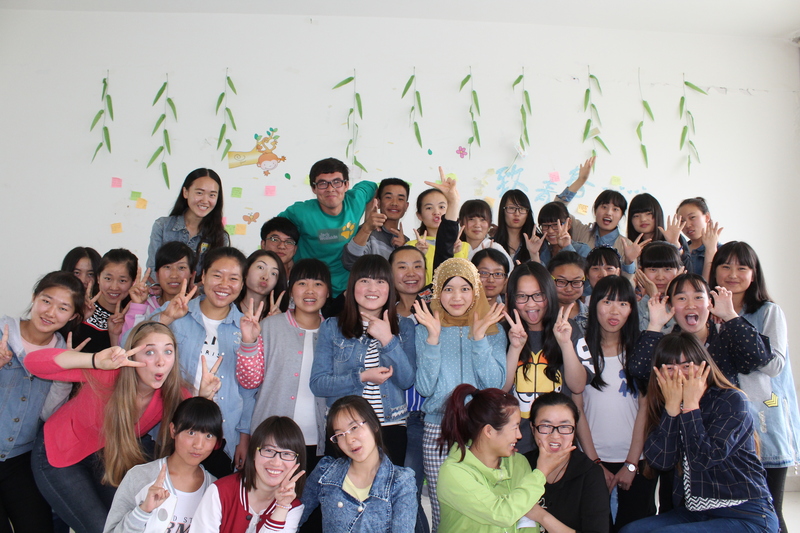 Will I ever teach English again to foreign students? Possibly! May the discernment process begin! Next year, I will be teaching the Sophomore Oral English classes, which means that I will continue to teach my current students for one more semester, as the fall semester will be my last semester teaching full-time at Ningxia Teacher’s University. I am excited to be able to continue to build relationships with my current students rather than start all over with a new bunch.